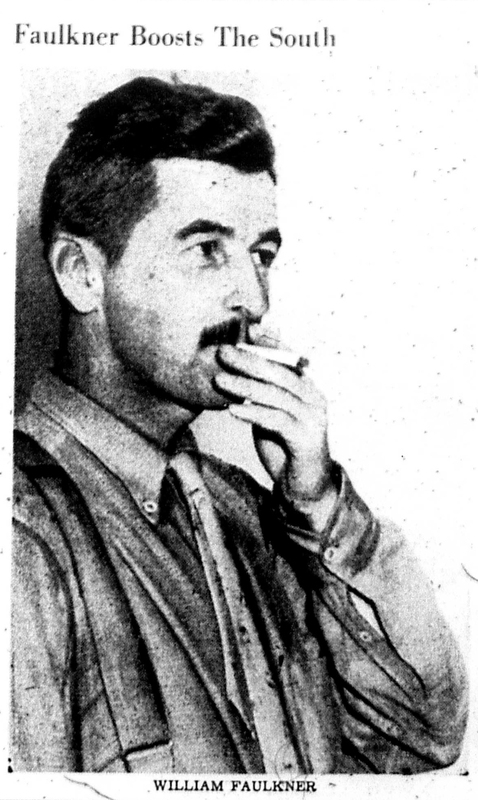 William Faulkner came to New Orleans early in March 1939 for three days of fishing with local friends. (The Deutches? Hermann was the model for the reporter in his novel Pylon.) Someone from the newspaper spoke with Faulkner at the friend’s home and soon after published an article in the Item on their conversation. He disclosed Faulkner’s opinion that from the South would come the country’s finest art; another Keats would someday emerge. Also, he spoke of the poseur writers and the character of those dedicated to the craft; the unreality of his Hollywood days and a bit about the three-volume novel he was then working on—obviously the Snopes Trilogy. His description of Faulkner is incisive, particularly the emphasis on his eyes. The complete article follows, thanks to The Historic New Orleans Collection. William Faulkner, the writer whose books about Southern poor whites and more poor Negroes have pictured Southern decay, degeneration and doom, passed through New Orleans this morning and said quite a few good words for the South. Faulkner, who’s lived most of his life in the little town of Oxford, Miss., and who still lives there with his wife and 6-year-old daughter, has a picture in his mind of “maybe a Keats coming out of the backwoods, a hardshell Baptist with a celluloid collar and a short tie, who writes good poetry.” He thinks maybe this backwoods Keats will show up one of these days. Faulkner is a short, delicately built man, with a slender face, medium-sized mustache, and a rather high-pitched voice. His dark black eyes are his strongest feature, and they’re more impressive for their brilliance than their expressiveness. He’s not expressive, demonstrative, or really sociable, and he doesn’t like to talk about writing. It’s interesting to note that he, himself, can’t read his writings sometimes. But that’s only when they’re in manuscript. He writes in an extremely pinched hand which goes back to the days when he had to economize on writing paper. It is even and fine, but to anyone else not only looks like, but is, as unreadable as Greek. He says he can’t read it if he leaves it for a time. The days when he was a struggling and unknown writer have left a slight touch of bitterness in him. The writing business, “which is a job,” would be all right “if you didn’t have to stop and boil the pot now and then.” He doesn’t consider any of his books pot-boilers, but was alluding to other work he couldn’t bring himself to mention. 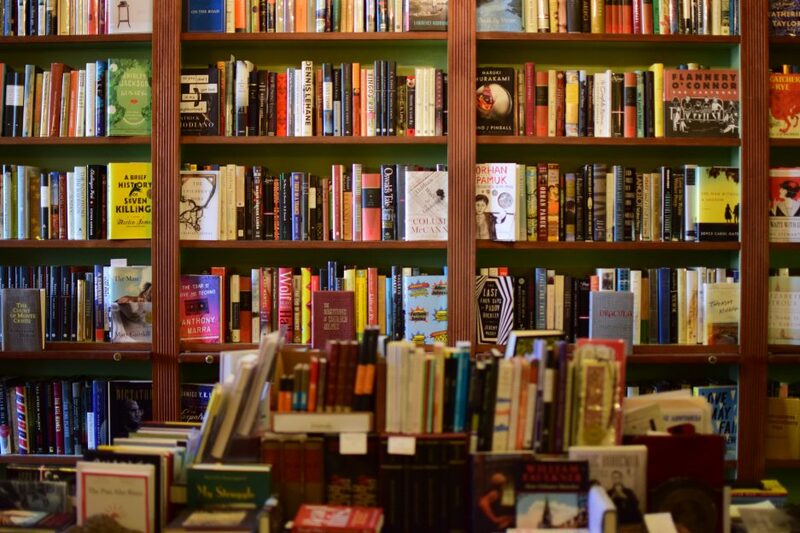 He’s now working on a three-volume novel he began in New Orleans 5 years ago. He’d have finished it sooner, but for boiling the pot. It’s about a poor white who comes to a little Southern town and teaches the populace corruption in government and…. ­­M. A. There was no byline. The M. A. at the end is speculated to be Michael Amrine. This photograph accompanied the article in the New Orleans Item.